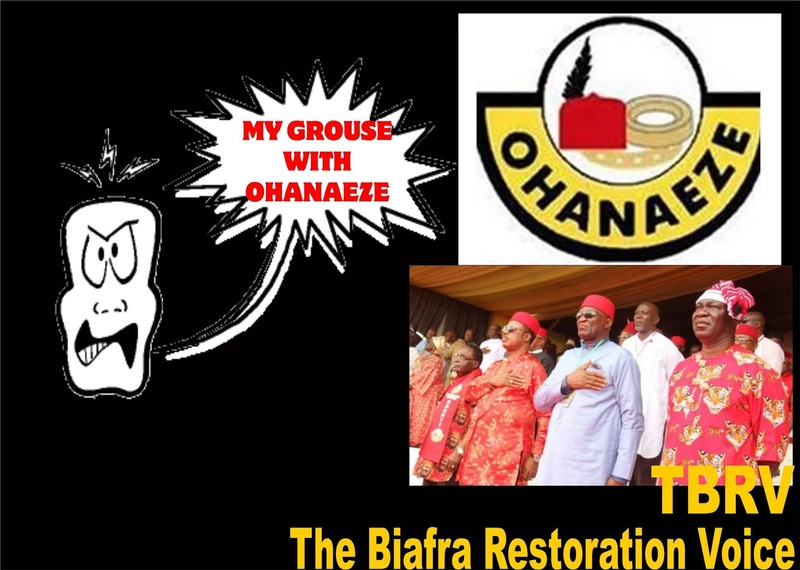 The word Ohanaeze has two basic meaning depending on how you look at it. It could mean the people and the king, it could also mean the people keep away from the king. Ohanaeze was formed few years after the war. Our people needed to rebuild their lives after surviving the biggest genocide committed against them in African history by the Nigerian government. The founders had many things in mind. Paramount among the vision for founding Ohaneze was to have a strong lobby group for the Igbo people to help push for their demand for a better deal. Ohaneze was supposed to assume the nature of Zionism. After the war, many Igbos began mass migration to the USA, Europe and many parts of Nigeria. The founders desired to use the migrating Igbos in the diaspora to jump start the lobbying for our liberation. They were supposed to work assiduously to enable the Igbo aspiration. But Ohaneze was highjacked and instead of working for the betterment of the Igbos, they started giving themselves titles, Eze Igbo USA, Eze Igbo Kogi, Eze Igbo London, Eze Igbo Sokoto etc. They were compromised at birth, so instead of working for the betterment of the Igbo people, Ohaneze has been working against the collective Igbo aspiration. They claimed to be our leaders but watch us short changed in virtually everything that affects us from state creation to educational merit, even to infrastructural deficit. Ohaneze has always turned a blind eye to the yearnings of our people. They formed a youth wing, but the youth wing was compromised as the parent body. They laugh at our sufferings and use it for their personal and selfish gains. They joined our enemies to mock our very desire to live as a free and dignified people. They sold our birth-right for self-determination for a day porridge and they watch us toil and stripped of dignity by our oppressors yet they do nothing. Today, we the people ‘ga na eze ndi’ Ohanaeze. We will isolate them like a leprous virus before it spreads and pulls down the very ancient Igbo civilization bequeathed to us by our forebearers. Ohanaeze watched our very own people proscribed and they never declared national mourning in Igbo land. By their actions, they have shown that they are the enemies who seek to destroy our people from within while feigning brotherhood. So, we stand by the proscription of the evil gang called Ohanaeze na ndi oshi. Evil fathers who called their children terrorists. Evil fathers who called strangers to massacre their children are not worthy of honour and dignity. They shall remain proscribed for all time.